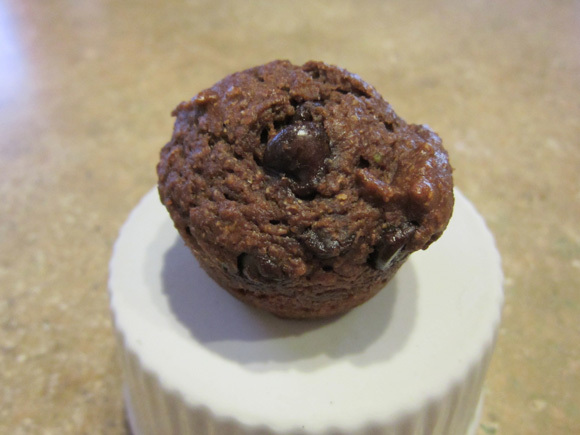 Even if the combination of chocolate and avocado sounds weird, you need to try these muffins. They are delicious! It’s also a great way to get all the great nutrients of avocado into your kids. Great for Chloe because she won’t even try avocados. This recipe comes from TrainerMomma.com. Preheat oven to 375°F. 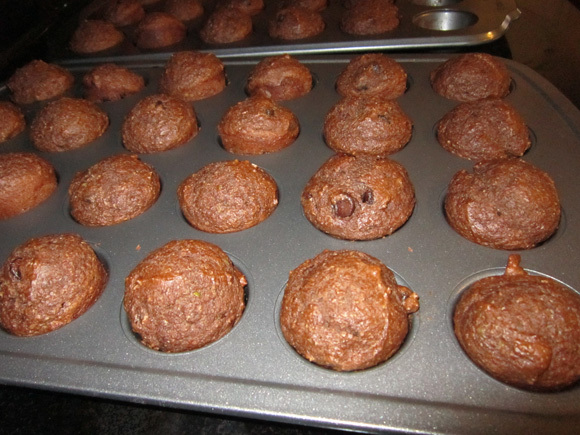 Spray two mini muffin tins with non-stick cooking spray or line with paper muffin liners. Whisk together the avocado and sugar until smooth. Add the eggs, applesauce, milk, flour, cocoa powder and salt. Whisk to combine. Stir in the chocolate chips. Divide the batter among the two prepared muffin tins. Bake until a toothpick inserted in the center comes out clean. About 15 minutes.